​Arsenal have reportedly joined Premier League rivals Liverpool in the race to sign €50m midfielder Nicolò Barella from Serie A outfit Cagliari. The 21-year-old Italian has made 83 appearances for the Sardinian outfit and has played every single minute of the Rossoblu's campaign this season - scoring once in nine appearances. Due to his recent form, the youngster is reportedly being scouted by a number of Europe's top clubs. A number of Italian sides are said to be interested in Barella - including Milan, Juventus and Roma - but are deterred by the €50m valuation, paving the way for a battle between Unai Emery and Jürgen Klopp's sides. 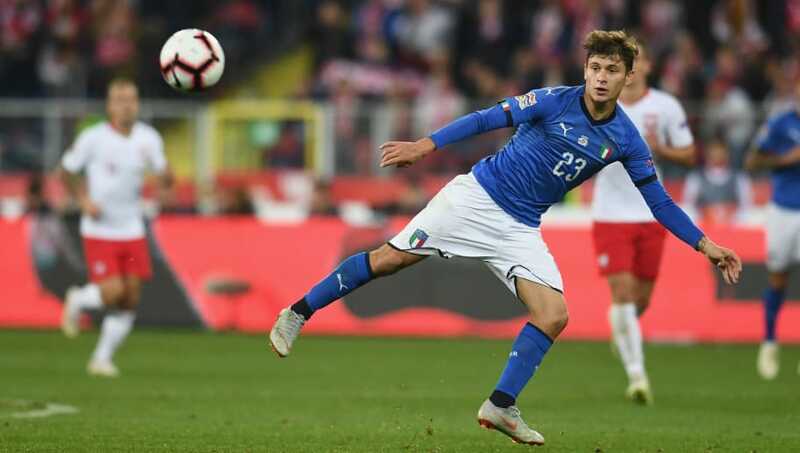 Barella, who put in a terrific performance in ​Italy's 1-0 victory over Poland in the UEFA Nations League, is alleged to have been closely monitored by the Gunners, who sent scouts to watch him on international duty, with a firm eye on signing the Italian international in the new year. According to ​Gazzetta dello Sport (via ​TeamTalk) Barella, who has two senior international caps, would be the ideal candidate to replace the outgoing Welsh international Aaron Ramsey. The Welshman is in good form himself and has been involved in four goals in nine appearances for the north London side this season, scoring once and providing three assists. However, after contract negotiations broke down, Ramsey seems certain of running down the remaining months of his deal at the Emirates and depart for free in the summer, with Barella his possible future successor.